Sound the alarm, Star Wars has made at least one of your fan-casting dreams come true: Donald Glover has officially been cast as a young Lando Calrissian in the upcoming Han Solo stand-alone movie, LucasFilm announced on Friday. He’ll star opposite Alden Ehrenreich, your new Han, as the famous smuggler in the still-untitled film slated for 2018. “These are big shoes to fill, and an even bigger cape, and this one fits him perfectly, which will save us money on alterations,” directors Phil Lord and Christopher Miller said in statement. “Also, we’d like to publicly apologize to Donald for ruining Comic-Con for him forever.” Poor guy. 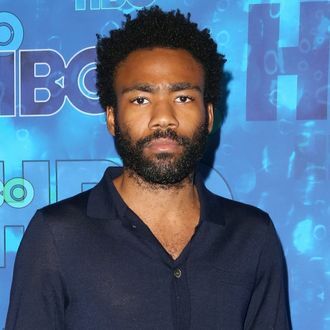 On top of a year that’s already seen Glover rise to the top of the list of greatest young comedian-auteurs of his time, he’s also previously been cast in the Spider-Man reboot, fulfilling all your nerdiest fantasies. Thank him later.